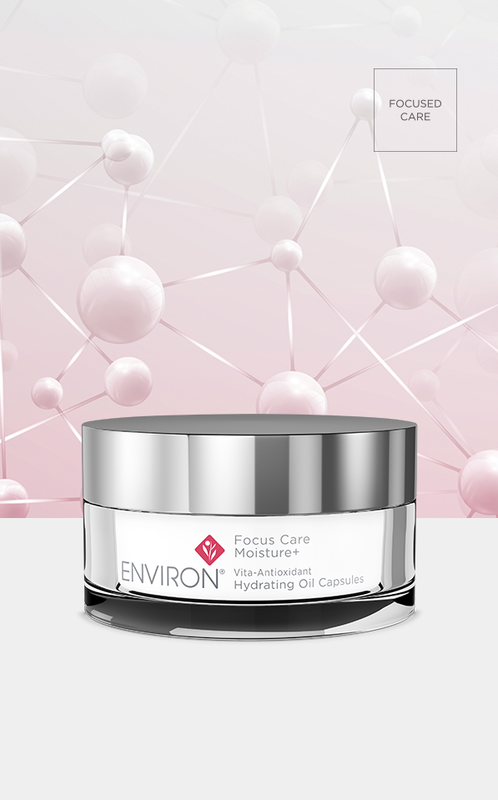 These capsules deliver a concentrated burst of vitamin enriched hydration for the skin. Containing a blend of Retinol and Antioxidants, they may help to protect the skin against the damaging effects of free radicals. They assist in enriching skin with natural surface oils, leaving it looking visibly refreshed and energised. Assists in softening and moisturising skin, leaving it looking revitalised and radiant. Contains antioxidants that are proven to combat the visible signs of ageing. Leaves a luxurious, soft and silky after-feel. Pre-cleanse, cleanse and tone your skin with your preferred Environ products. Apply the contents of one capsule to your face and neck as your primary evening moisturiser. Alternatively, mix the content of one capsule with your recommended Environ vitamin A moisturiser or apply over your normal evening moisturiser. Contains a variety of dynamic moisturisers and emollients that may assist in enhancing the skin’s barrier function, as well as its natural moisturising factors. It results in skin that feels nourished and refreshed. Is formulated with medium concentrations of Glycolic Acid and Lactic Acid which may to help improve textural problems associated with dehydration, leaving the skin feeling softer and looking smoother. Contains a high concentration of Hyaluronic Acid (a known moisture-magnet) and may help to leave the skin visibly smoother and plumper.